From the observation deck at the Nago Castle Ruins, you can observe the extravagant cherry blossoms as they contrast with the emerald green of the East China Sea. 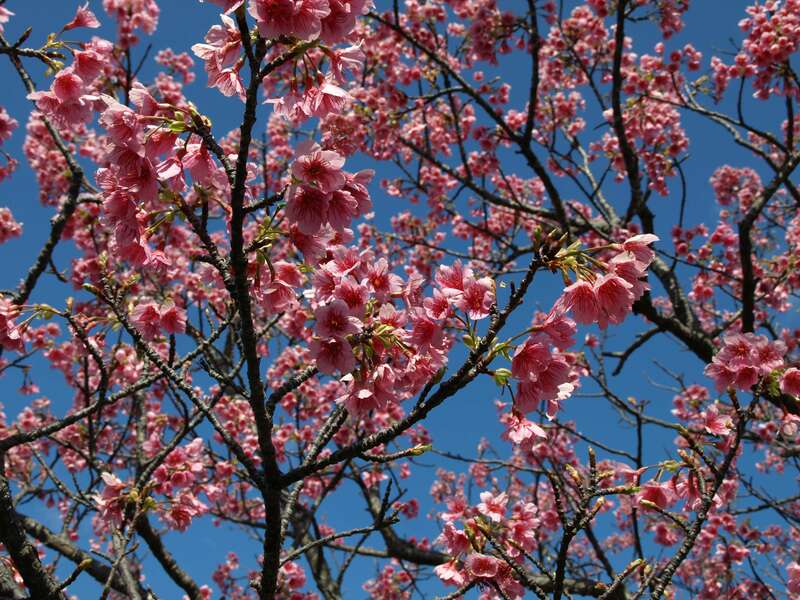 In Nago Central Park, you can enjoy a 2 kilometer stroll amplified by the bright pink cherry blossoms in full bloom. You can even take in the traditional arts of Okinawa including Eisa and Ryukyu dance in the festivities parade held and participated in by the local residents.